Wet on Dry is the watercolor painting technique you use when you want to place a hard or sharpe edge on your painting, though you can also use it to cover an area with a nice clean watercolor wash, see figure 6. With the wet on dry technique the paper is dry when you lay down your watercolor wash, think of moping a floor and leaving it wet as you wash it. The trick here is to make sure you have enough moisture on your brush that the paint mixture will freely flow out from the brush and onto your watercolor paper. It should be fluid enough that once on the paper it forms a bead of paint at the bottom edge of your brush stroke. You use this bead to continue painting down the paper to create a smooth clean looking finish. Use the bead to help paint a smooth wash. 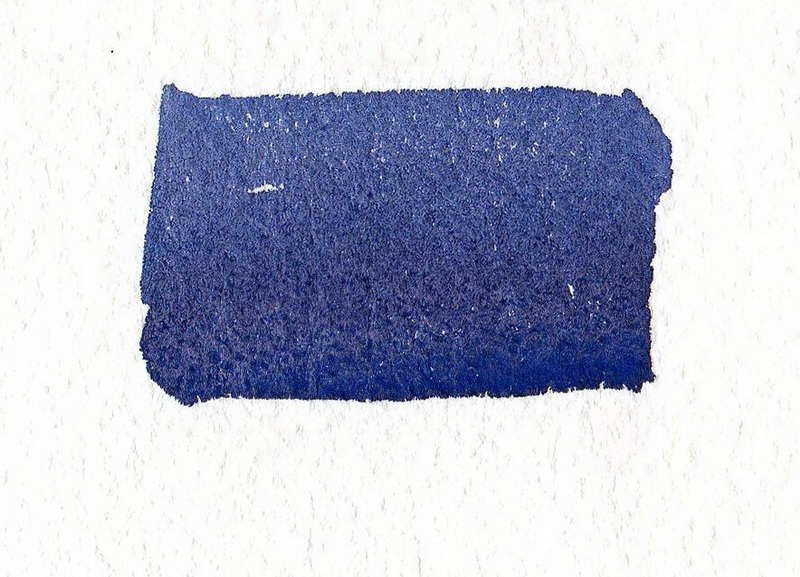 The technique for creating a smooth wash is to keep this bead of watercolor paint flowing down the page. After you lay down your first confident brush stroke with a full loaded brush (a fully loaded brush is one that if you hold it vertically with the point facing down, the paint will drip out of it, but if you hold it horizontally it will not drip). You then reload your brush and your second brush stroke just touches the lower edge of this bead of watercolor causing it to flow down the page before creating a new bead at the bottom of this next brush stroke. It is this continuous flowing of water color down the page that leaves behind a nice smooth finish. Think of it like the sand at a beach as a wave recedes it leaves behind a smooth sandy surface. If you have a look at my flat wash demonstration, you will see an example of this wet of dry technique. Now if you create a watercolor wash and while it is still wet you go back into it with another color (this is often referred to as charging by some watercolor artists) then the rules of wet on wet apply.